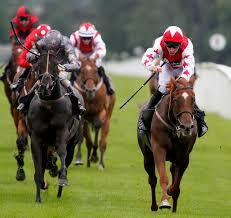 The Great St. Wilfrid Stakes, run over 6 furlongs at Ripon, is the highlight of the season at the North Yorkshire track. Four favourites, including the last three, have won the race in the last 10 years, but were accompanied by winners at 20/1, 18/1, 11/1 and 10/1 (twice), so we at least have a fighting chance of unearthing some value for money. The ante post favourite, Orion’s Bow (5/1) is one of the most progressive horses in training, having risen 37lb in the weights since May, but his presence does, at least, introduce the potential for rich pickings at the other end of the market. Go Far (33/1) finished second, beaten a head, in a 0-105 handicap over 6 furlongs at Goodwood on his seasonal reappearance in May, only to be awarded the race in the stewards’ room, and races off an identical handicap mark. He finished last of ten from a wide draw at Chester next time but, although never beyond mid-division, wasn’t entirely disgraced in the Stewards’ Cup at Goodwood two weeks ago. He won the Ayr Bronze Cup last September off a 7lb lower mark so, while he needs to improve on recent efforts, he won’t be a totally forlorn hope if he does. Mythmaker (25/1) is only 2lb higher in the weights than when beaten a neck by See The Sun in a highly competitive 0-105 handicap over 6 furlongs at York on his penultimate start and would have an obvious chance if able to reproduce that form. His subsequent effort on the Tapeta at Newcastle was tame by comparison, but he wouldn’t be the first horse to be unsuited by that surface. He’s been campaigned almost exclusively on artificial surfaces since last October, but the York run represented arguably a career-best effort and he deserves a chance to confirm that promise.